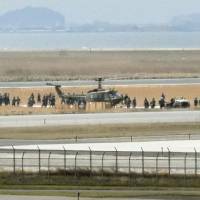 TOTTORI - A Ground Self-Defense Force helicopter with four crew members on board made an emergency landing at an airport in Tottori Prefecture on Thursday, and the runway was temporarily closed, the airport’s operator said. 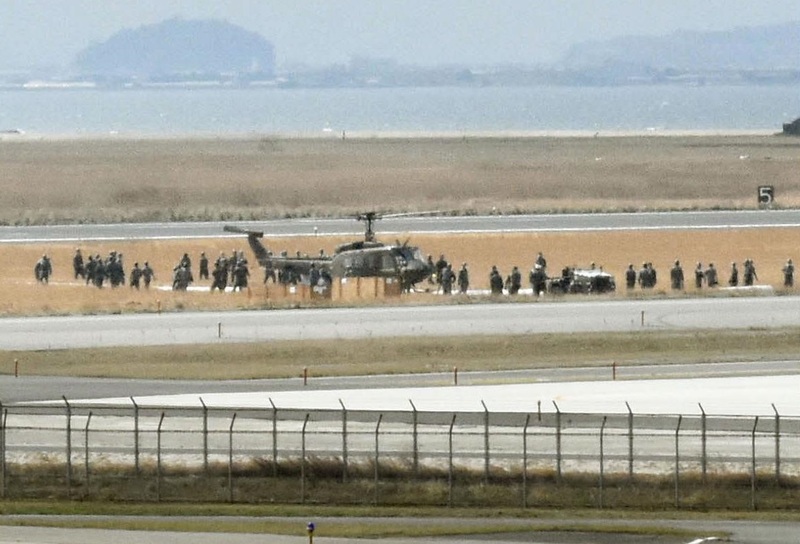 The runway at Yonago Airport was shut down for about two hours after the emergency landing at around 8:15 a.m. None of the crew sustained injuries, the airport said. 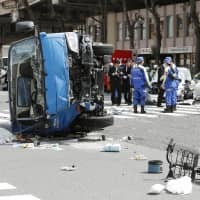 The helicopter, belonging to an air squadron based in Yamaguchi Prefecture, departed from Nihonbara base in Okayama Prefecture at around 7:30 a.m., according to the GSDF. The GSDF’s Yonago base said the crew made the decision to land after an emergency light began flashing. 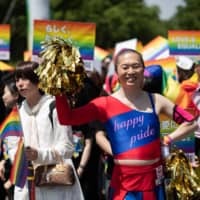 The helicopter was responding to a call to douse a mountain fire in neighboring Shimane Prefecture, officials at the Tottori Prefectural Government said. The dual-use airport, located in the city of Sakaiminato, also houses the Air Self-Defense Force’s Miho Air Base. Commercial aircraft also use it, according to a local bureau of the transport ministry. Last June, a C-2 transport plane operated by the ASDF and stationed at the same base deviated from its course during a training exercise and slipped into the grass at the side of the runway.